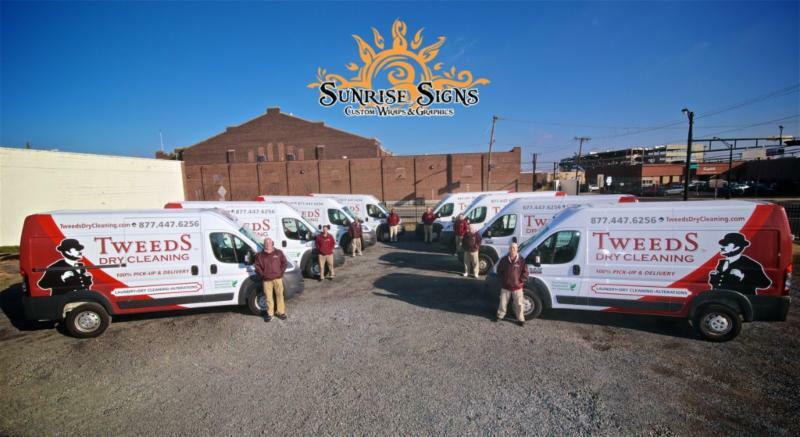 Sunrise Signs, owned by Adam Sokoloff in Gloucester City, NJ, recently completed a large vehicle fleet project. This project consisted of wrapping twelve vehicles in six weeks. Adam also expects to wrap twelve more vehicles in the next few months. The production for the vehicles and the installation were all done in house by Sunrise Signs. This project brought in a total revenue of $25,000.